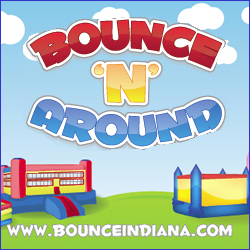 We have Bounce Houses, Water And Dry Slides, Bungee Runs, Obstacle Courses, Moonwalks, Cotton Candy Sno Kone and Popcorn Machines. We can deliver to all locations in Wisconsin. 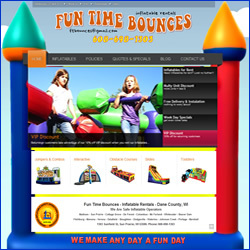 Our equipment was purchased in the last 1 to 2 years and meets all current safety standards. We have the perfect inflatable with Officially liscensed Inflatables; Spongebob, Batman, Disney Princess, Spiderman and more! Along with Generic colors good for any occasion. Let us host your next party or event!